Upskill loves to celebrate its interns and the meaningful work that they accomplish every day. 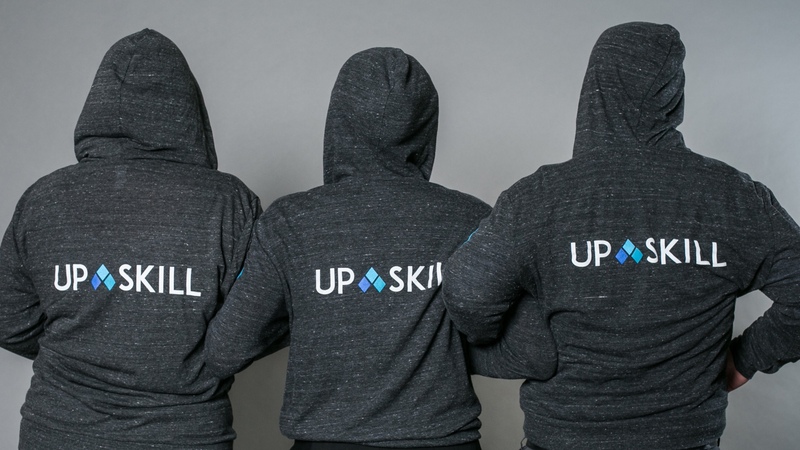 Halfway through the internship cycle, we sat down with our Summer 2018 interns to hear about their work and how their time at Upskill has impacted them. Read below to hear what our interns have to say about their experiences! What attracted you to an internship at Upskill? When I heard augmented reality, it really got my attention. Upskill, when I first found out about it, was doing something I had never heard of and seemed to be on the cutting edge. Yet, what really set Upskill apart was the interaction I had with the Jeff, the CTO. Two years ago, I was VP of Special Events for my school’s business club, which involves soliciting local business leaders to come to talk to our club. I reached out to around 15 tech companies at their info@companyurl. Only one company got back, and the person who got back was the CTO. As soon as Jeff came and told us about Upskill, I knew it was the place I wanted to work. What project have you most enjoyed working on so far? I would say my favorite project was when I worked on an Over-The-Air updater for Skylight. It took me way out of my comfort zone with concepts and code I never even heard about so it was a major learning experience. Yet, the best part was I worked on it with another Intern. This was the first time I got to seriously collaborate with someone in software development which was a very exciting process. What makes working at Upskill unique? I think most of all, the company culture. I think one thing Upskill is really good at is fostering a culture of empathy. Throughout my summer and a half at Upskill, I have seen and felt that people here seem to just care about their colleagues than at other places I have worked. What’s something about your experience that you didn’t expect? I did not expect to be working on such high-level and important projects. When I first joined I was blown away by how much responsibility and freedom I was given. Do you have any advice for other students who are looking for internships? It’s a pretty common lesson but I think most people in my position still need to hear it, myself included. That is, just go for it. When you are looking for internships, you have really nothing to lose by reaching out. When I first emailed Upskill, I was not expecting a response and when I first asked out to Jeff about an internship, I certainly wasn’t expecting an interview. Yet, I am very thankful I did. The opportunity to work closely with “real engineers”. The main reason I chose this internship over the other internship I’ve was offered is that I knew that in this internship I’d be working with people in the industry and not strictly with other interns. It was a really cool experience for me. I didn’t feel like an intern, which was really unique. This might be a cliche but I felt like there were many small unrelated office tasks that should’ve been given to the intern (like ordering food, putting groceries in the fridge) but that wasn’t the case. I guess I can’t be certain because I never had a “real engineering job” but I felt like I was a regular employee rather than “just the intern” and that was really cool. What’s something new you’ve learned about Upskill since you’ve been here? I learned so much so far I can’t tell what is specific to Upskill and what is universal in the industry. I learned a lot about Skylight and about the company’s development cycle. Like I said before I really expected being treated as “the intern”, but that again may just be a stereotype. I really didn’t expect to have this much freedom, honestly, it’s a bit intimidating and I’m still not completely used to it. I was really treated like an adult which was really nice and I suppose I’m almost 20 so I’m technically an adult. Find internships you’re passionate about and channel that passion. Both you and the company where you intern will benefit much more if you do something you’re excited about. Wanting to learn is key here. Maybe 1% of what I did in this internship was based on the knowledge I have from college. Understanding that your own passion and curiosity is one of the most valuable things you can offer is key. I heard shining reviews from Jon and Sofia, who I knew through my previous employment at UMIACS. To say that Upskill still runs like a startup would not be exactly correct, nor particularly insightful. From the brief impression I’ve gotten, I’m excited that the platform is still so new and constantly changing, driven by a wave of new customers with their own demands. I’m treated like a full member of the development team and trusted in that role. I can break things, give my opinions on established features and code. I’m meant to make a feature that will improve a serious pain-point of the media experience on Skylight. There is no pretense about a stiff organizational hierarchy, it’s great! I’ve gotten a better sense of the scale of the industry, and how Upskill measures up against the competition. It’s been interesting to read about the high-level strategy of refining the scope of our product to differentiate ourselves from competition who promise features left and right but may not have the resources for a timely delivery. Practicing for whiteboard interviews is good and all, but giving a confident personal impression and being able to “talk shop” with your interviewer will get you in the door. Interested in an internship opportunity at Upskill? Apply here!